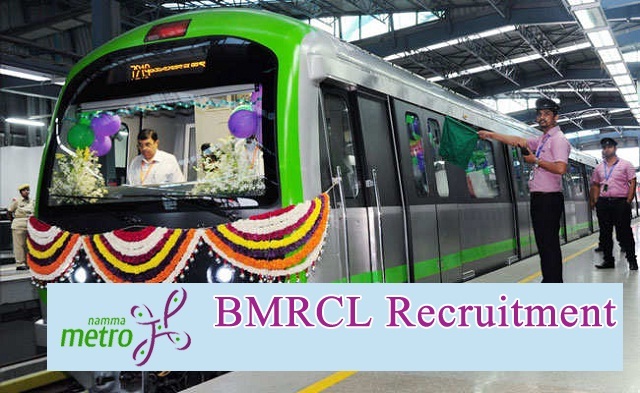 BMRCL Recruitment 2018 2019 Apply Online Application Form for 33 General Manager, Deputy General Manager, Manager, Assistant Manager, Section Engineer, Junior Engineer Posts Apply Online through Official website www.bmrc.co.in. BMRCL GM, DGM, JE Jobs Notification 2018 Released BMRCL Recruitment 2018-33 JE, Section Engineers - Apply Online. The Interested and Eligible Candidates are requested to apply online through Official website www.bmrc.co.in. The last date for submission of Online applications is 28.03.2018. BMRCL Recruitment 2018 33 JE, Section Engineers - Apply Online. The maximum age limit for the post of General Manager is 50 years, Dy. General Manager is 45 years, for Managers it is 40 years and for Assistant Managers, Section Engineers, and Junior Engineers it is 35 years. However in case of deserving candidates having relevant qualification and experience, age will be relaxed at the discretion of the Company. Eligible candidates may fill in the application on-line, take a print out of the same and forward along with relevant documents in support of qualification and experience. Such applications may be addressed to the General Manager (HR), Bangalore Metro Rail Corporation Limited, III Floor, BMTC Complex, K.H.Road, Shanthinagar, Bangalore 560027 superscribing the envelope as “APPLICATION FOR THE POST OF ……………………… ……………………..”. Last date for receipt of applications is 4.00 PM of 28th March 2018.